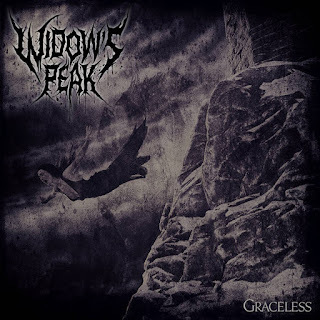 Technical death metal act Widow's Peak have released their single "Mother Misery", off their upcoming debut EP "Graceless" out real soon. Lead guitarist Chris McCrimmon discusses the single and it's accompanying EP release, as well as other band details, only he would know about this act. 1. How did you end up with the band's name Widow's Peak? Chris: Well as most people know, it's when your hairline comes to a point on your forehead. We realized some of us had one, and when we said it out loud, we realized how brutal the name sounded. It's an ode to the foreheads of the world. 2. Which genre did you decide upon going into the creation of this band? Chris: We didn't decide on anything specifically, actually. 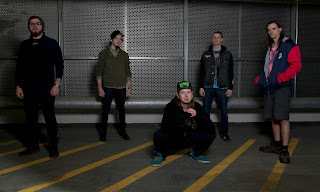 We all just like heavy music, so we got together and started writing with no expectations or goals in mind. The most important thing was just to make music that we actually liked, and would want to hear if someone else had recorded it. 3. What are your songs about, what types of topics or concepts do they tend to cover? Chris: We like to write about violence and extremity, but anything within that is fair game. We're inspired chiefly by real-life stories and events, though we do like writing about alien invasions or demonic rapture as well. 4. Who would you say you look up to musically as far as influencers go? Chris: It varies from member to member, but some of the biggest ones would be Cannibal Corpse, Ingested, Meshuggah, The Black Dahlia Murder, and Beyond Creation. There really is a mix of everything in there, though. On the road we listen to Tech N9ne, The Beach Boys, John Coltrane, etc, and I think that helps us keep a fresh perspective on the extreme stuff. 5. Why did you find "Mother Misery" the track of choice off your debut EP "Graceless". Chris: It's a good representation of the EP as a whole, I think. Some of the other tracks lean one way or another a little more (Graceless is much more melodic, Headless is a bit more old-school, etc), but "Mother Misery" falls right in the centre of all the things we do, and it seemed like a good preview for the other stuff hiding on the EP. 6. 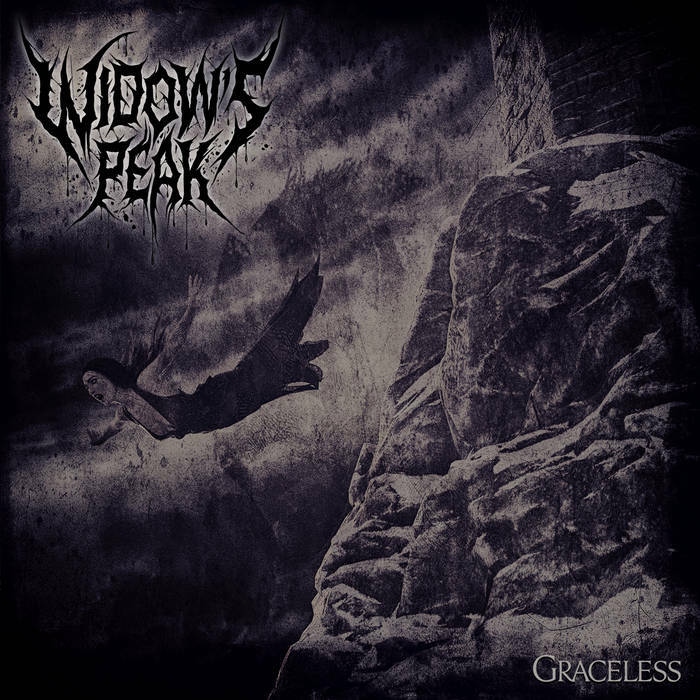 "Graceless", is the title of choice for this debut EP, but why is that so? Chris: Well we thought of the idea for the artwork for the EP before we had all the songs written. We just wanted a concise title that would complement the artwork and our band name. It also kind of forces a different perspective on the cover art, but that wasn't by design. 7. How would you define the artwork behind the EP and how it relates to the music and or theme of the release as a whole? Chris: It's honestly just what came to mind when we thought of the band name, so it seemed like the obvious choice for the cover art of our first release. The title track loosely relates to the artwork in the lyrics as well, just through the whole suicide theme. 8. Will there be any more tracks off this EP that will be made into singles and or video releases? Yes, we have a lyric video for "CBT" that should be dropping any day now, which was curated by the legendary Scott Rudd! 9. 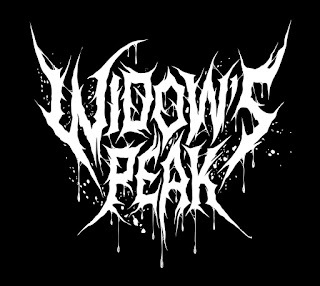 What are the plans of activity that Widow's Peak has in mind? Chris: Well we'll be appearing at the first-ever Decimate Metalfest in June, and Metallion Festival in August, both of which we're really excited for. We're also planning to put some serious hours into touring this summer, but we can't talk about any specifics just yet. Coming up on April 27th is our EP release date, and we have a release show at Distortion that night, featuring Path To Extinction, Protosequence, Meggido, and Anti-Pattern. There's gonna be free cake for everyone as a thank you gesture, too! 10. Is there anything more you want to add? Chris: "Graceless" is currently available for pre-order on our Bandcamp found HERE, as is our swanky new merch! We have lots of big announcements coming up too, so keep your eyes open for that. In the meantime, you can check out our single, "Mother Misery" on our Facebook or YouTube channel. Peace, love, and death metal!